It's been a long time since I last updated the Style Icon series, so after your favourite Miroslava Duma and Victoria Beckham, I want to concentrate my attention on Lauren Conrad, who I'm sure you all know. Actually, I've first noticed her for her reality The Hills on MTV, as maybe most of you. As we know from the reality, she's studied Fashion Design and Merchandising, she's worked before in Teen Vogue, after with Kelly Cutrone and in the last years she's created her own fashion line. Her style is fresh, clean young, never exaggerated, classic and feminine but not expectable. It's the perfect "South California girl Style", she knows how to enhance her body without looking vulgar and she's always "simply" impeccable! What do you think about her? Personally, I find her style really similar to mine. Let me know with a comment! E' inoltre passato molto tempo dall'ultima volta che ho aggiornato la mia rubrica Style Icon, quindi dopo le vostre preferite Miroslava Duma e Victoria Beckham, oggi voglio concentrare la mia attenzione su Lauren Conrad, che sicuramente conoscerete tutti. L'ho notata la prima volta grazie al reality The Hills su MTV e come saprete, se avete di tanto in tanto seguito il reality, ha frequentato la scuola di Fashion Design e Merchandising, ha lavorato prima per Teen Vogue e poi per Kelly Cutrone e negli ultimi anni ha creato la sua linea di abbigliamento. 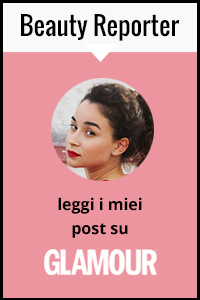 Il suo stile è fresco, giovane, pulito, mai esagerato, classico, femminile ma non scontato. E' il perfetto stile da ragazza della California del Sud; sa come valorizzare il suo corpo senza risultare volgare e riesce sempre a apparire "semplicemente" impeccabile! Cosa ne pensate? Personalmente apprezzo particolarmente il suo stile in quanto si avvicina molto al mio. Fatemi sapere la vostra opinione con un commento! mi piace mi piace molto! Lauren Conrad is sooo stylish! I love her looks! always perfect!! And her hair is amazing! great post! she really has an amazing sense for fashion, I love her outfits! Thank you for commenting on my blog and following me, I'm following you too now, cause I really like your posts! I love her style, she is perfect always!